What’s it like to face food insecurity every day? For many children and families living in the Charlotte region, access to enough healthy food is limited by a lack of money and other resources, often forcing them to eat smaller, unhealthy or fewer meals. Food insecurity is a symptom of various issues related to economic mobility that can keep families trapped in poverty. And over time, hunger can cause physical, social and mental health issues in children and adults. “We do need to make sure that children and families are fed today, but we need to be equally as committed to solving the issues that got them there to begin with,” said Laura Clark, United Way of Central Carolinas president and CEO. 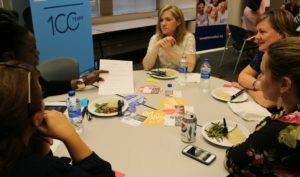 To shed greater light on this issue, United Way invites the public to experience the reality of poverty and hunger faced daily by people in our community during an interactive Hunger Dinner on November 15, hosted by Young Leaders. The event is from 6-8 p.m. at Project 658, located at 3646 Central Avenue in Charlotte. A Hunger Dinner is a hands-on simulation that educates and creates awareness around poverty and food insecurity. The place you sit and the meal you eat are determined by the luck of the draw – participants are randomly issued one of three tickets representing upper-, middle-, and lower-income classes. 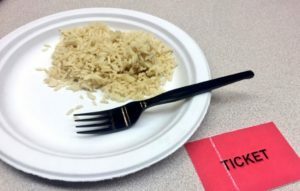 Depending on the type of ticket received, participants get a pre-determined amount of food for their dinner. Seating is random with a mingling of all three income levels at each table. 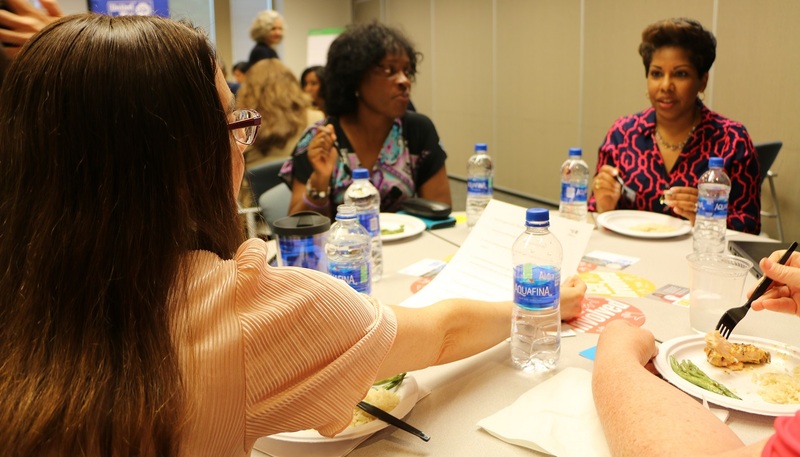 Eating and interacting with each other, participants get a first-hand look at hunger and what it’s like for people who have high opportunity and access to adequate food versus those who don’t. For many participants like Marius, the activity opens their eyes to poverty and hunger and empowers them to get more involved to help address these community issues. “United Way is not only working with the residents and the families today to get food on the table, but we’re also trying to work with our city and institutional leaders to say, ‘What do we need to do to change this overall big-picture?’” Clark said. Attend Hunger Dinner to learn more about how you can engage in United Way’s work throughout our community. When: Thursday, November 15, from 6-8 p.m.
Tickets: $15 general admission. Free for Young Leaders members.